While I was looking forward to the Yarn Along The Rockies yarn crawl, I was also anxious to see a friend that I hadn't seen in 10 years, and to visit The Loopy Ewe in Fort Collins. 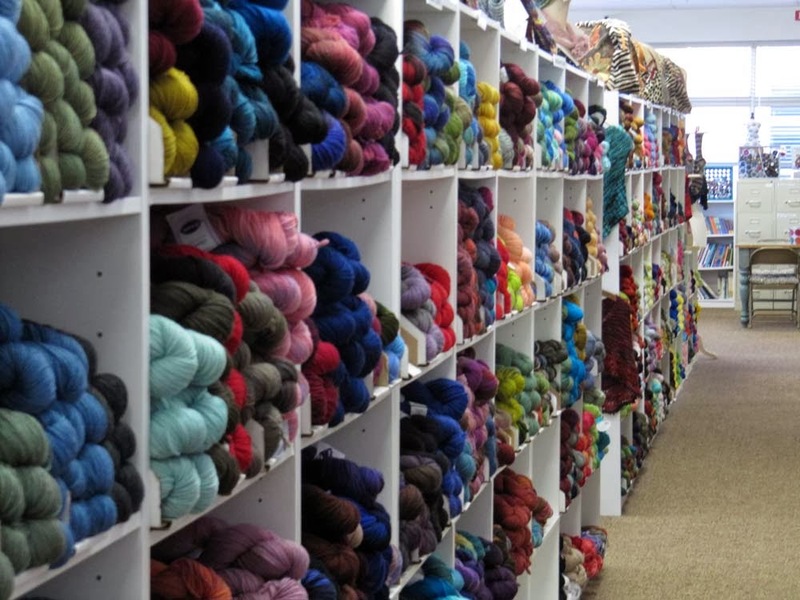 The Loopy Ewe wasn't part of this yarn crawl but participated in an earlier crawl of northern shops. 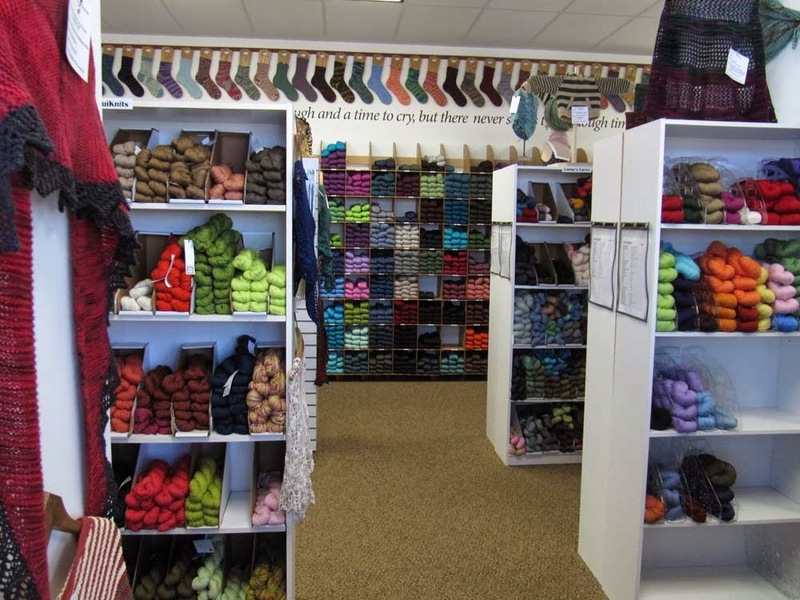 Yes, there are a LOT of yarn stores within driving distance of Denver! It was good to see Jackie again after all these years and to get caught up. 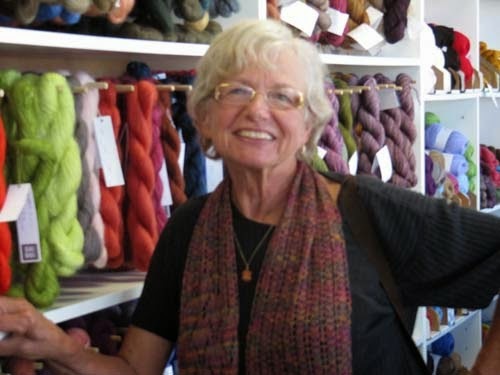 She's been a busy lady with her fabulous designs, company, knitalongs, and much more. I'm in awe of all she does. She's so talented. Check out Jackie E-S at HeartStrings FiberArts. Unfortunately, the picture is a little blurry, but otherwise it's a good shot of the photogenic Jackie. To say that The Loopy Ewe is nice is a gross understatement. It's fabulous. Maybe it's a good thing that I no longer live in Colorado as I'm sure I'd be making regular trips to the shop and my stash would be even bigger than it is now. However, I'm already looking forward to the next trip to Denver and will leave plenty of room in my suitcase for "souvenirs". The store is organized the way I like - by weight, then by color. 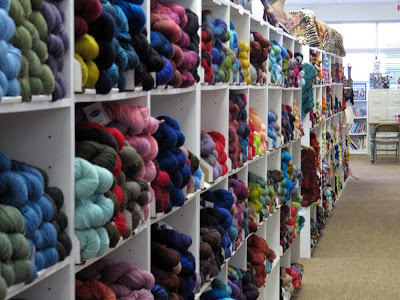 They carry yarns that I've never seen before from large companies and yarns from independent or small dyers - some I've only heard of, some were new to me. 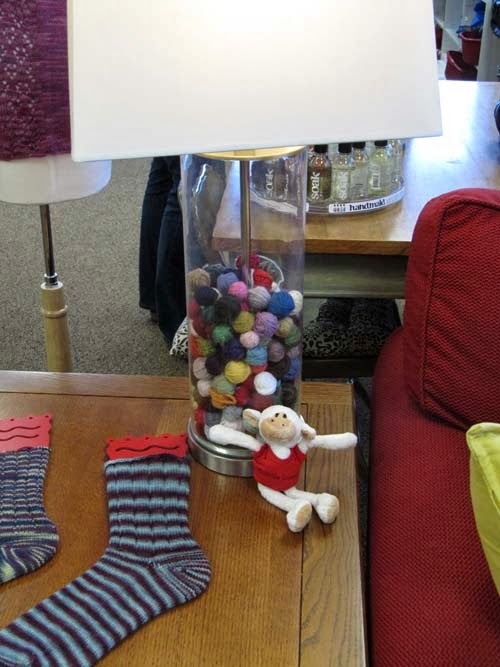 The Loopy Ewe is clean and bright and the sales staff, the "elves", are very helpful. They don't hover over you while you're trying to make decisions on yarn and colors, but are around if you have questions....a nice balance. Even the customers are happy and friendly. I was debating over shades of Dream in Color Smooshy and was joined by someone who was shopping and she offered her input, which was welcome. Don't let the empty shelves, bottom right in the picture above, deceive you. 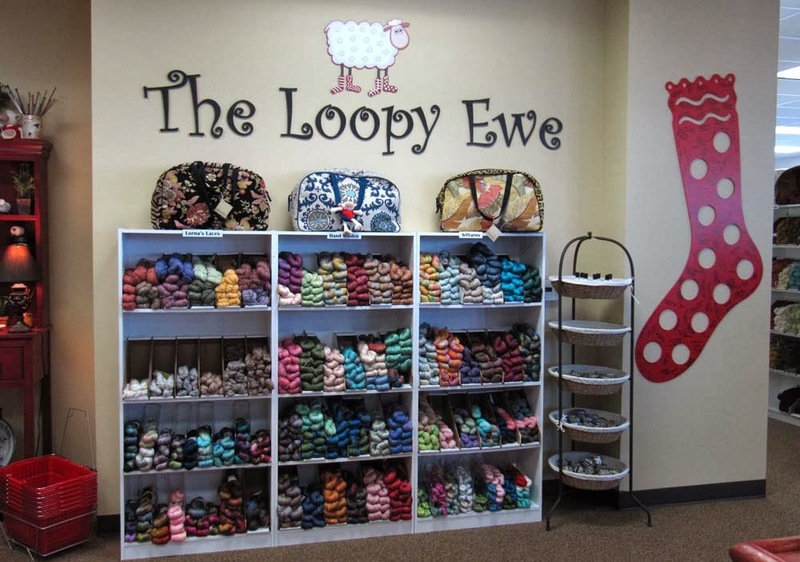 The Loopy Ewe has more yarn than any knitter could possibly want in a lifetime. There is even yarn in the lamp base! I really don't need any motivation to finish up projects that I have on hand, but knowing that I'll probably be in the shop again next year in the fall has me looking forward to new projects in 2014.